There are a number of mouth diseases which affect individuals of all ages. Some occur due to microbial infections while others develop because of certain nutritional deficiencies. Although the symptoms vary, most conditions involve the formation of mouth ulcers as well as pain and discomfort in the region. They affect the body parts including the lips, tongue, the inner part of the cheeks and the throat. In severe cases, mouth disorders make it difficult for the victims to eat and drink like normal individuals. Mouth diseases pictures reveal the forbidding symptoms of several conditions including severe ulcers and oral cancer. However, the field of medicine offers different types of treatments. They can lessen the severity of these symptoms or even completely alleviate them. The onset of the disease is identifiable by the appearance of a sore on the lips or in the mouth. The sore may be painful and does not heal. The lining of the mouth begins to thicken leading to the formation of a lump. Other mouth cancer symptoms include pain in the tongue, a sore throat and difficulty in chewing and swallowing food. Although the disease occurs mostly due to DNA mutations, it may also be the result of a sexually transmitted virus known as HPV – human papillomavirus. Humans who frequently consume tobacco or indulge in heavy use of alcohol are at a higher risk of falling prey to mouth caner. HFMD results from the action of viruses which belong to the family Picornaviridae. The early symptoms of this disease are quite similar to flu or influenza. The disease comes with soreness in the throat. The most common symptoms include nausea, fever, fatigue and loss of appetite. In the case of infants and toddlers, HFMD leads to irritability. As the disease progresses, the infection leads to the development of blisters in the internal portion of the mouth. Skin lesions develop which you can identify as rashes or small bumps on the skin. It is a contagious disease and most commonly spreads through nasopharyngeal secretions. The vaccine for HFMD has recently been introduced in China (in 2015). It is the EV71 vaccine. You can diagnose it through swollen and bleeding gums which feel tender. Bad breath is another common symptom of gingivitis. 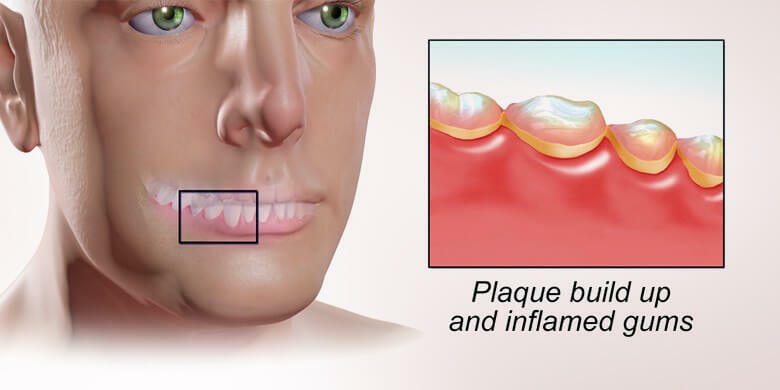 The disease occurs due to the accumulation of plaque which consists of bacterial biofilms. It is one of the rare mouth disorders which are reversible. Maintaining a good oral hygiene can remove the layer of plaque and alleviate the related symptoms. 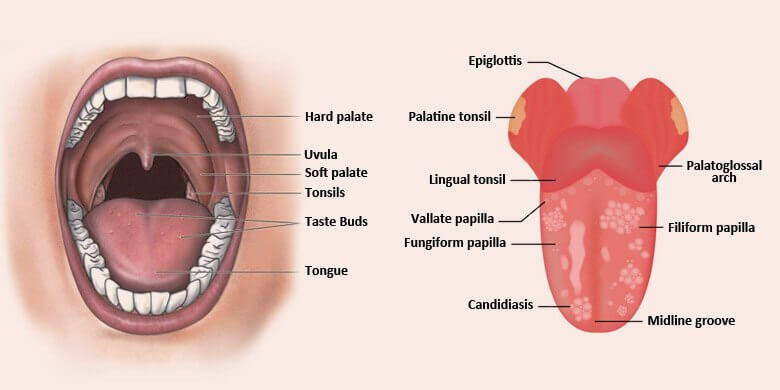 The fungus which leads to the development of oral thrush is Candida albicans. The most common victims of the diseases are infants and toddlers. It causes them to become irritable and fussy due to the discomfort from the symptoms of the disease. You can identify it by the formation of cracks on skin at the corners of the mouth. Other symptoms of oral thrush include formation of white bumps on the tongue as well as the inner cheeks and gums. In severe cases, there is pain and difficulty in swallowing food. Usually, the disease is treatable with the help of antifungal medication. These ulcers have also got the name of ‘aphthous ulcers’. The sores may cause discomfort while eating or brushing the teeth. Mouth ulcers can be the minor ulcers, major ulcers and herpetiform ulcers. Minor ulcers consist of sores which range from 2 to 8mm in diameter and heal within two weeks. On the other hand, major ulcers are bigger in size and take longer than two weeks to heal. Lastly, herpetiform ulcers consist of dozens of small sores. 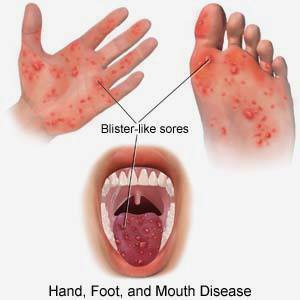 The sores cluster together and lead to the most discomfort and pain. A mouth ulcer which lasts longer than a period of two weeks without showing any improvement may be a sign of a more serious condition – oral cancer. Some of the most common causes of mouth ulcers include tissue injury, braces or dentures and gastrointestinal diseases. Nutritional deficiency including the deficiency of iron, zinc, vitamin B12 and folic acid is another factor. Mouth ulcers usually disappear without treatment. However, larger and painful sores need various remedies. A physician may recommend an antimicrobial mouthwash or corticosteroid ointments. Patients can also use the anti-inflammatory medication as a mouth sores treatment. You should ensure to visit the dentist on a regular basis. So, you will be able to avoid such problematic and disturbing mouth diseases. In addition, other precautionary measures should also be taken. They include avoiding contact with the victims of contagious mouth diseases. With proper care and precautions, individuals can avoid facing discomfort.